crosswords, mazes and coloring pages. If you're looking for printable word games for Easter parties and other events then our Easter printables page has just what you're looking for. Our range of activities are perfect for use in families, school classes of all ages, kids clubs, youth groups or any other organisation. 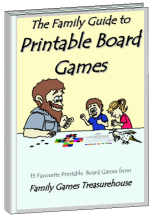 We have printable games suitable for young children right through to adults. As you scroll down below you will find free trivia quizzes, wordsearches, crossword puzzles, mazes, tic-tac-toe, word jumbles, acrostics, Bingo party games, an Easter Scavenger Hunt and many more exciting games. We also have a delightful range of Easter coloring pages with lots of cute bunnies and eggs. Using our printables can save you a whole lot of time. For school teachers, they can be used in conjunction with a Unit Study, lesson or assignment on Easter. 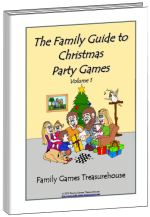 For kids' clubs and church groups they can be used as a fun activity to complete at the end of a story. These printables are a wonderful resource to use as reinforcement of a lesson. 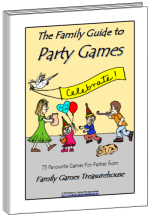 They are also great to use at parties or other gatherings where you need some quieter games and activities. And, of course, you can print them out for your own family. 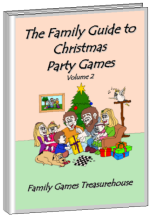 The whole family will enjoy doing word searches, crossword puzzles and coloring in. All of our Easter printables are free for you to download and print. Just click on the printable of your choice and you will be taken to a page where you can print it. Easter Trivia - Here are two Easter Trivia quizzes all about the Easter story and Easter traditions. How much do you know about the real Easter story? Easter Wordsearch - This is a very popular Easter printable. There are five levels of difficulty for children and adults who enjoy this kind of challenge. Easter Scavenger Hunt - Be on the lookout for the symbols of Easter in this exciting printable Scavenger Hunt. Great fun for families, Sunday Schools and youth groups. Easter Acrostic - Here are several fun and challenging acrostic puzzles using words pertaining to Easter. 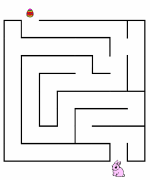 Easter Mazes - Your children will enjoy these amazing mazes. Easter Word Jumbles - Can you unscramble the letters to make the special Easter words? Happy Easter - How many words can you come up with? Easter Alphabet - Can you think of an Easter word for each letter of the alphabet? Easter Tic-Tac-Toe - Play a traditional game with an Easter theme. Easter Crossword Puzzles - These crosswords come in two levels of difficulty. Easter Bingo - Try these Bingo games with an Easter theme. Free Easter Coloring Pages - On this page you will find endearing coloring pages of bunnies, baskets, eggs, and pictures with a religious theme. More Free Easter Coloring Pages - Still more coloring pages of cute little animals, bunnies and eggs with terrific ideas for coloring and craft. We hope you enjoy our Easter printables. 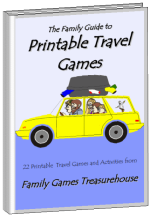 There are many more games for you to play here at Family Games Treasurehouse. We'd love you to come back and visit us again.